The great British weather has struck again with the sun only making a few appearances during August. With the amount of rain that came down garden ponds and water butts have been topped up nicely. Now September is here are we going to have an ‘Indian Summer’? – how nice that would be so we might still find a bit of time to enjoy sitting in the garden. Ah well back to gardening matters – it’s a good time to begin general maintenance on the lawn, along with tidying borders and containers so they will be ready for planting spring flowering subjects. Also a number of vegetable and flower seeds can now be sown outside and inside. Gladioli are still giving enjoyable displays in the garden but it might be nice to cut a few spikes for indoors. Should thrips be causing a nuisance spray with Bug Clear. Once flowering has finished, the corms may be lifted, cleaned and carefully stored for planting out again next spring. So that dahlia stems do not break in the wind tie them to supports such as canes. 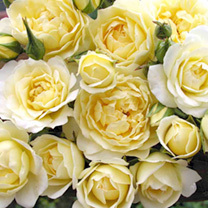 Remove any deadheads and cut some flowers for a nice display indoors. When lily bulbs become available they can be planted as soon as you want. Once the summer bedding plants have been removed, plant spring flowering plants such as bellis (daisy), pansy, polyanthus, primrose and wallflowers along with spring flowering bulbs. It is a little early to plant tulip bulbs which should be left until November to avoid attacks of Tulip Fire. This disease causes scorched areas on the leaves and spotting on the flowers. The following hardy annuals can be sown outdoors – calendula, cheiranthus, godetia, larkspur, nigella and poppy. Wild Flowers that can be sown direct outdoors are field scabious, field cornflower and feverfew. In the greenhouse sow cyclamen, pelargonium, schizanthus and strelitzia. Sow in a cold frame the wild flowers primrose and cowslip. 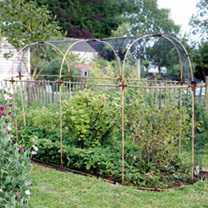 Sweet peas can be sown in a cold frame or unheated greenhouse to over-winter. 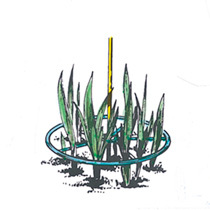 The young plants can then be planted out in March/April to obtain early blooms. It is now a good time to begin watering dormant cyclamen pot plants which were left to die down for a rest. To make sure displays last well into autumn remember to still give them a little attention. 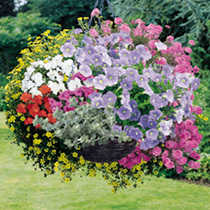 Water regularly, daily if possible, keep pests under control and, of course, remove any fading blooms. Pot any of the tender plants you may wish to save for next year so that they are allowed to become established in readiness for being placed under cover when the weather starts getting cooler. 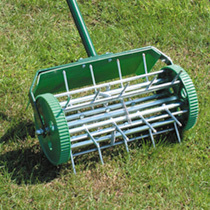 Early September is an ideal time to sow a new lawn or make repairs to an existing lawn. Grass growth is slowing, therefore, reduce the frequency of mowing. Keep the lawn clear of fallen leaves. General maintenance should be carried out to established lawns, aerate by spiking with an aerator or fork, apply a top dressing and towards the end of the month apply an autumn fertiliser. Plant onion sets of an over-wintering variety from the middle of the month. Sow winter lettuce Valdor and Winter Density. A few cut-and-come again salad varieties could be planted in pots for tasty leaves in the autumn. Lift maincrop potatoes and allow to dry prior to storing in wooden trays in a dark, cool, frost-free shed or garage. Transplant spring cabbage into their final positions. For a supply of herbs during the winter, pot up plants of basil, marjoram, mint, oregano and parsley and grow them on the kitchen windowsill. Crops should be picked regularly ensuring they are always fresh and tender, and items such as courgettes and beans shouldn’t be left too long prior to picking. Tomatoes and chillies in greenhouses should still be watered during late summer. 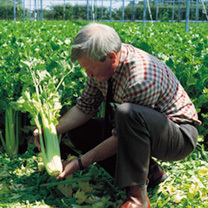 Celery plants reaching required size can be lifted carefully with a hand fork. 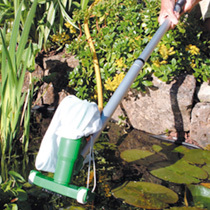 Pond debris, particularly if the weather has been windy, should be removed by using a net, rake or pond vac. It is important that any dead or dying plant matter is removed immediately so it is not allowed to fall into the water, as this can lower the oxygen content and may also harbour diseases. To catch falling leaves secure a net over the pond. Filters and pumps should be kept going, remembering to check them regularly to see if they need cleaning. It may prove worthwhile to siphon off around a quarter of the water in the pond replacing with fresh if your fish stocks are high. To build up fish strength in preparation for the winter give them a high-protein feed.